Summer is a tricky time when it comes to truck accidents because summer is construction season in many states like Florida, which means that many lane deviations and traffic patterns pop up every day and surprise drivers. It also makes it more difficult for State Patrol officers to do their job because the shoulders are restrictive. According to statistics, 97 percent of the 1.2 million trucking firms in the United States operate 20 trucks or fewer, covering a colossal operational domain with (presumably) the same drivers, thus increasing the chances of accidents occurring. As many who have been through them know, truck accidents tend to be far more impactful than common vehicle-related incidents, and usually more fatal. This means that truck operators and companies need to not only be aware of their own safety and compliance with federal and state laws put in place to prevent accidents, but to help ensure the safety of others on the road. Driver training regarding safe driving practices on the road is absolutely crucial in terms of what trucking firms can provide. The better the training, the less likely that accidents occur and cargo and vehicles are damaged. 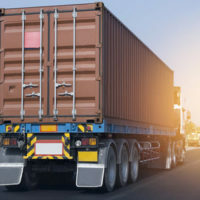 Drivers can be registered in professional training courses, which teach them the basics of transportation, from how to load goods, to how to secure the freight and unload the cargo properly. State and federal laws mandate that drivers take a certain number of breaks so that they can focus and avoid falling asleep at the wheel. According to the research, 64 percent of fatal truck accidents occur on rough highways and rural roads, making technology and tracking crucial to safe truck driving. These devices can track idle time, stop times, seatbelt use, truck performance, etc., and the data that results can be used in any legal challenges related to trucking accidents. Trucking companies must also have trucks inspected in order to ensure that everything is functioning correctly and safely. This includes having experienced mechanics look at brakes, coupling, fluid levels, the doors and locking system, the installed alarms, reflectors, truck lights, and performing other system checks. Drivers should also carry emergency kits with medical supplies, batteries, fire extinguishers, etc. on hand. Truck accidents can be absolutely harrowing. They can lead to catastrophic, debilitating injuries and even wrongful death if a smaller car is crushed by a semi. If you have been in a truck accident, contact our Florida truck accident lawyers at the office of Douglas & Carter today so that we can discuss the medical care and compensation you need while you and your family get through this. We are here to help.